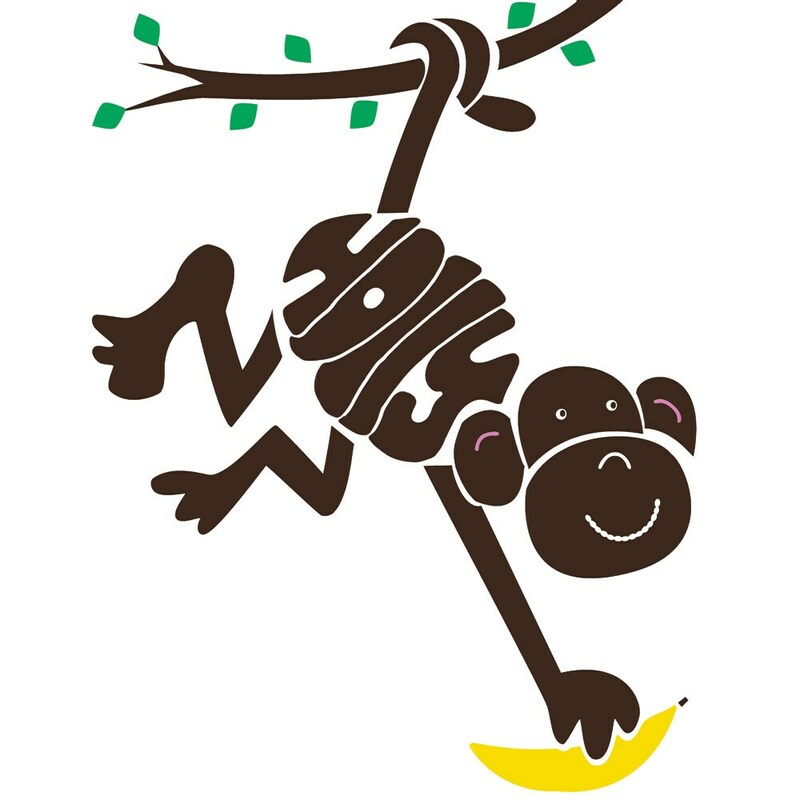 Unique and highly personalised monkey wall art, drawn by hand initially, personalised with a name of your choice. Just enter your chosen name and we'll hand draw it and then cut it for the body. 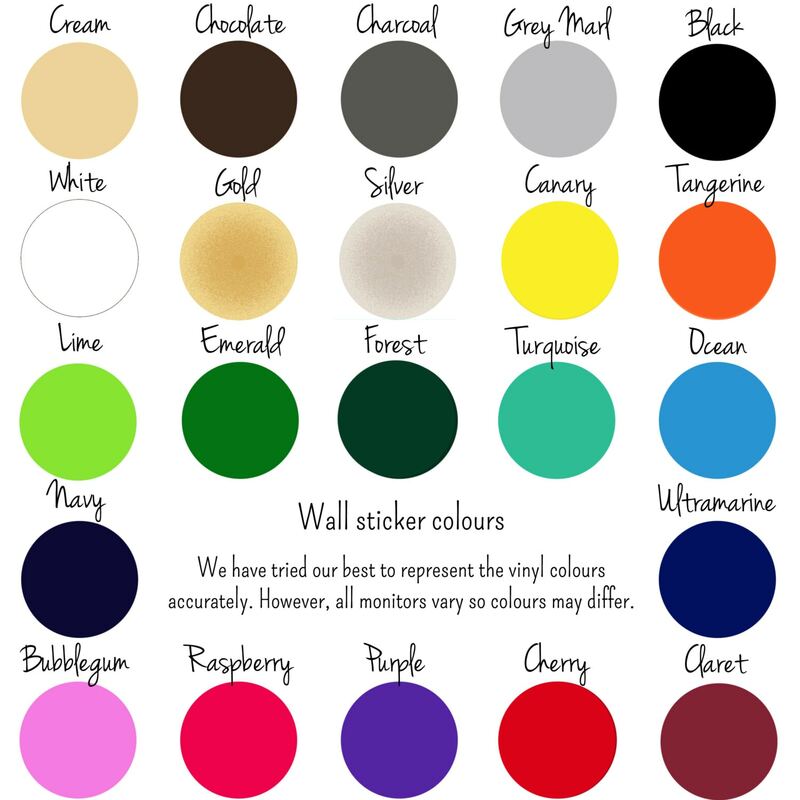 Your monkey sticker will be supplied as one giant sticker with all the separate colours grouped together. This allows easy application. Application instructions included, but my 7 and 8 year old have just covered my kitchen wall in various designs, so it's really not difficult! The vinyl used is a matt vinyl, so it gives the impression of being painted on the wall. It can be applied to smooth, grease and dust-free surfaces, even those with a slight curve. However, it would be best to avoid using the stickers on a bumpy woodchip-type surface. The stickers are designed to be semi-permenant, they won't come off unless you want them to and, if you do want them to, they should come off without leaving a mark and may even be able to be repositioned. Enclosed are easy to follow instructions. 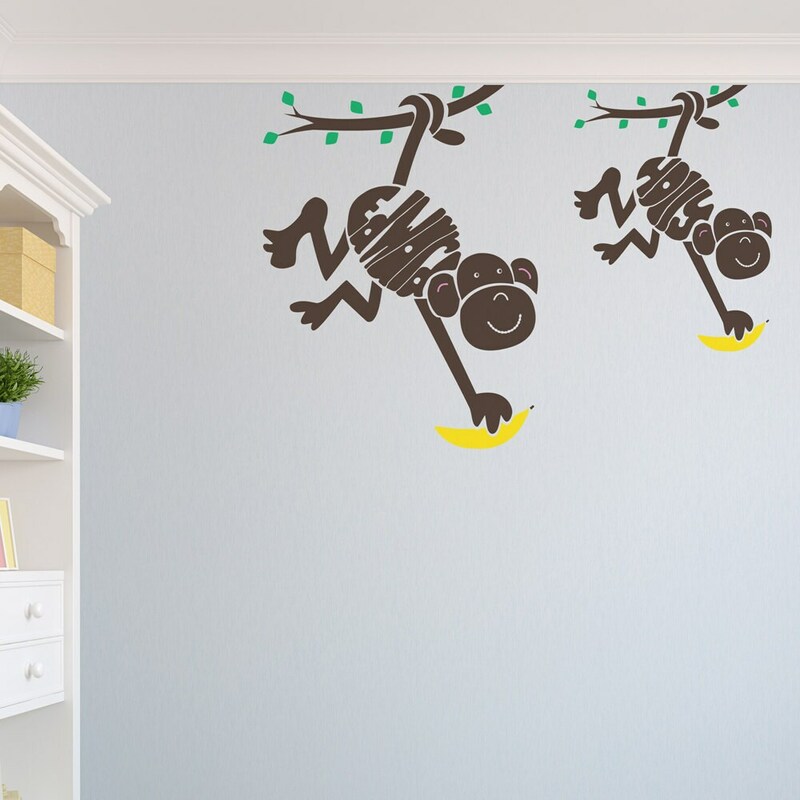 Wall art stickers will be dispatched in a sturdy card tube, with a set of easy to follow instructions.